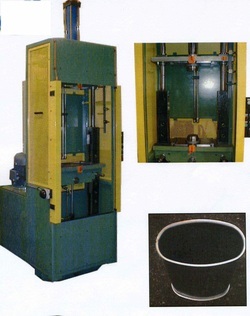 Vertical flanger - Deltic type ideal for cell production. Press flanges both ends of the muffler box. See video below to see a machine in action.